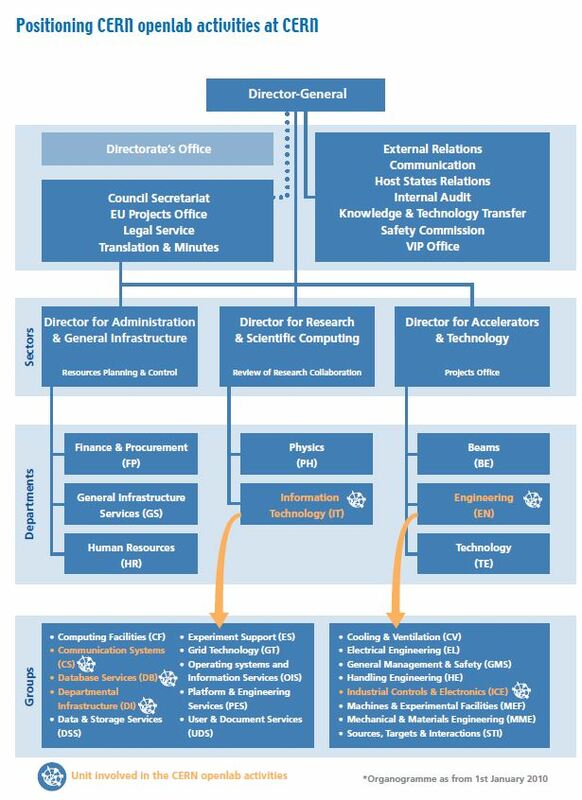 CERN openlab is a framework for evaluating and integrating cutting-edge IT technologies or services in partnership with industry, focusing on future versions of the WLCG. Through close collaboration with leading industrial partners, CERN acquires early access to technology that is still years from general computing market. In return, CERN offers expertise and highly demanding computing environment for pushing new technologies to their limits and provides a neutral ground for carrying out advanced R&D with various partners. This initiative has been organised into successive three-year phases. In openlab-I (2003–2005) the focus was on the development of an advanced prototype called opencluster, and openlab-II (2006–2008) addressed a range of domains from platforms, databases and interoperability to security and networking. The third phase – openlab-III (2009–2011) – was not only capitalizing on and extending the successful work carried out in openlab-II, but was also tackling new crucial areas. CERN openlab fourth phase (2012-2014) has now just started. This Web page contains pointers to material related to the management of openlab in the the Information Technology Department at the European Organization for Nuclear Research (CERN). These materials are publicly available on the Web exclusively for the benefit of the staff and users of CERN. Their use and distribution are regulated by the CERN copyright notice.